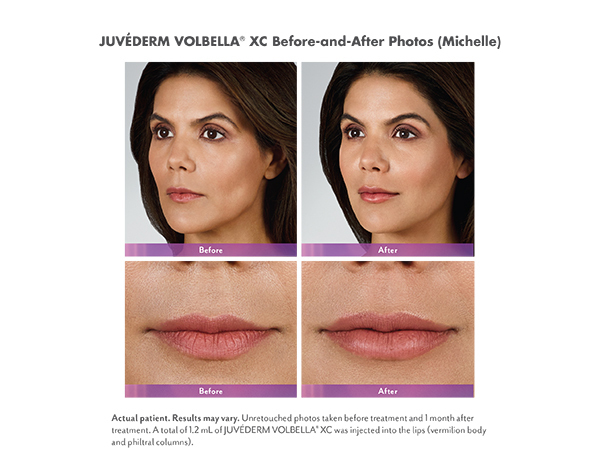 Volbella® by Juvederm – If you have been searching for a subtle way to enhance fullness in your lips, look no further! 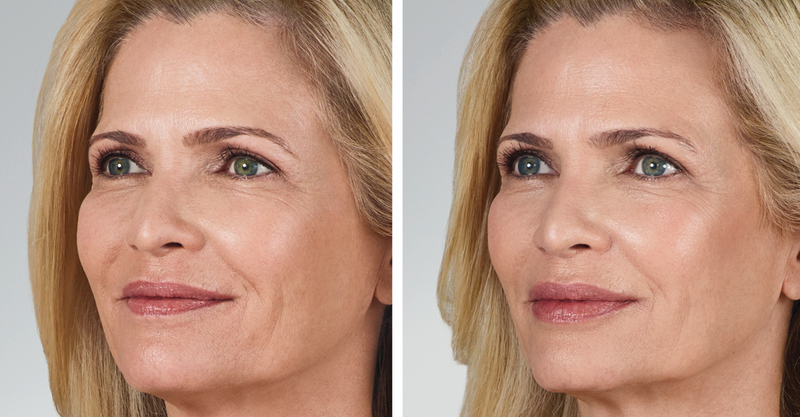 Introducing Volbella®, the first and only FDA-approved dermal filler proven to soften the appearance of perioral rhytids (lip lines) and add volume to the lips. Volbella® is specifically tailored to be a soft and smooth injectable gel to create natural-looking results that can last up to one year. The composition of Volbella® (smaller Hyaluronic particle size) provides an option to correct perioral lines with a natural appearance and to enhance lips without getting a puffy, overfilled appearance. Our experienced medical staff frequently performs lip augmentations and will provide you with a comfortable, smooth experience. Not only is topical numbing cream applied to the area, Volbella® also contains lidocaine (a local anesthetic) to maximize comfort. What can I expect after Volbella® treatment? The most common side effect of injections includes swelling, bruising, tenderness, redness and at times, discomfort and itching. However, there are several suggestions to help prevent bruising and avoid discomfort. Feel free to call to obtain additional details about Volbella® injections and other filler options provided at our clinic. 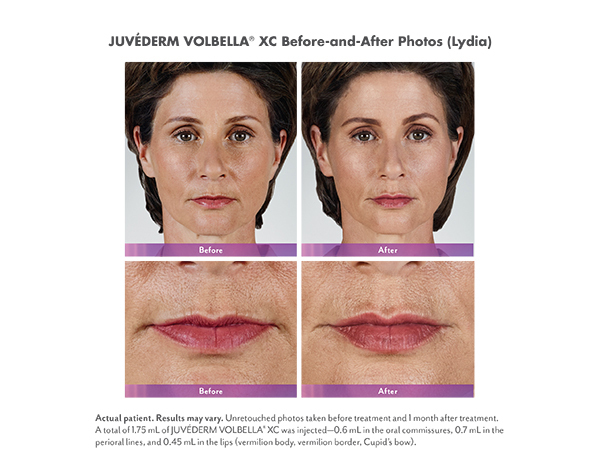 Interested in a Volbella® treatment? Call Maine Laser Clinic & Spa to schedule a free consultation.